More than 200 Manhattan College mechanical engineers packed the Great Room of the Raymond W. Kelly ’63 Student Commons to browse through 50 posters illustrating the work done by students within the mechanical engineering department during the 2017-18 year. Three alumni also spoke on a panel, representing the areas of aerospace, green building design, and patent law: Patrick F. Cassidy ’78, chief engineer at Boeing, James F. Dolan ’93 (M.S. ), principal of OLA Consulting Engineers, and Sean M. McCarthy ’09 ’10 (M.S. ), associate at Fitzpatrick, Cella, Harper, and Scinto. The posters described research projects being done at the graduate and undergraduate levels, and the work done as part of the mechanical engineering senior design capstone course, covering topics ranging from the additive manufacturing of carbon fiber parts to the analysis of ram jets for high speed air travel. There was a strong emphasis on “green” and sustainable technologies, and biomechanical systems, with the biomechanical projects being associated with the department’s newly created state approved concentration in biomechanics. 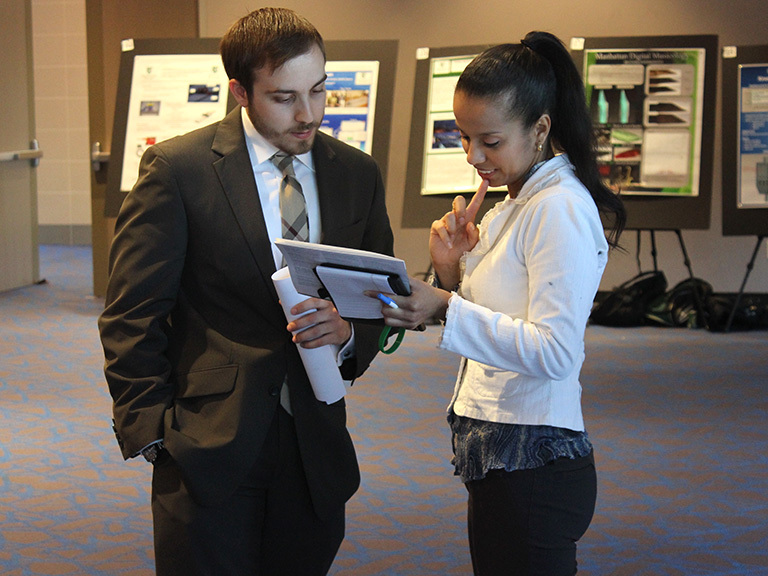 In the case of the senior design posters, a large number of product prototypes were presented. These covered systems such as drone aircraft and submarines, one person racing vehicles, earthquake recovery systems, and several biomechanical devices that included prosthetic hands and a system to attenuate the tremors associated with Parkinson’s disease. In addition to the posters, many of prototype systems were on display having been manufactured using the rapid prototyping abilities within the department. During the alumni panel, Dolan addressed issues of the future and our need to address problems associated with global warming and the need for sustainability with respect to build design and operation. Cassidy then spoke about his experience as an aerospace engineer at Boeing and how students will have to continue to adapt to rapid changes in technology. Lastly, McCarthy, an attorney, talked about opportunities for mechanical engineers outside of their discipline such as law, medicine, and writing for technology publications. At the end of the panel, the trio fielded questions from the students that included discussing internship opportunities to the increasing role of computers in engineering design and manufacturing. After the panel concluded, students competed in a Jeopardy! 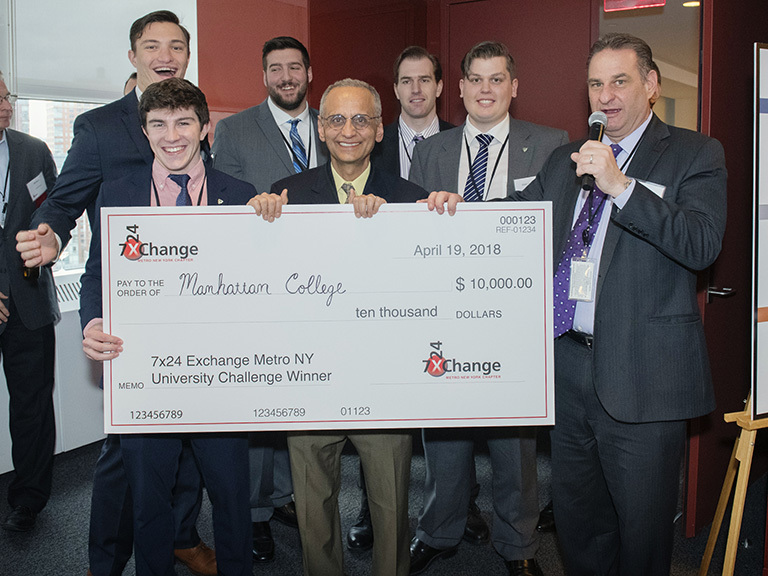 style competition about everything and anything related to mechanical engineering at Manhattan College, while smaller groups had the chance to speak one-on-one with fellow Jaspers. Finally, the students had the chance to let loose on a piñata to relieve the stresses of the semester. 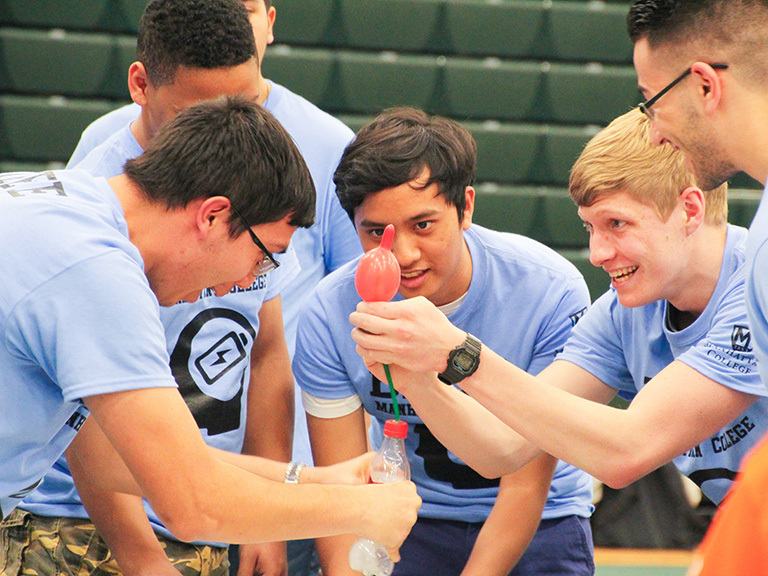 This year’s event was sponsored by the American Society of Heating, Refrigeration, and Air Conditioning Engineers.